Which comes first the agent or the publishing deal? Isabel Bandeira had her Calls a little backwards from the traditional, but it couldn't have worked out better! Her story is almost like a fairy tale. Congrats, Isabel! Thanks for sharing your inspiration with other writers. When I was a senior in high school, I went to an *event* packed with famous people who were supposed to mentor and inspire us kids. At the *event*, a best-selling children’s series author talked about publishing, his writing process, and life as an author. It was fantastic… until the Q&A. I raised my hand and asked if someone could become a writer without studying English/creative writing and working in publishing, and he said no. Seventeen year-old me, heading to college to study engineering, was crushed. That author was so incredibly, damagingly wrong. It took until 2011 for me to get over what he had led me to believe. Fast forward to spring 2012. I was querying my first manuscript, had just wrapped up the first draft of a middle grade, and an idea for a YA contemporary popped into my head. I decided to write this book out just for fun, just for me, just to get it out of my system. I had the best time writing BOOKISHLY EVER AFTER, because I thought no one would ever see it. But, when I finished revising in 2013, it had grown into a book-shaped thing that I wanted to share. I started querying in March of 2013. By August and Write On Con, I was maybe only ankle-deep in the query pool, since I queried in small batches. Because of my day job, most of the Write On Con live events just didn’t work for me… except for the live pitch session with Patricia Riley and Danielle Ellison of Spencer Hill Press. THE Spencer Hill Press, where Jennifer Armentrout first published, and home to quite a number of books I love. They were offering live critiques of twitter pitches and, while I didn’t get my hope up they would be interested in my contemporary, I tweeted my pitch, anyway, and hoped for advice on how to make it better. My pitch went up on the screen (http://writeoncon.com/08/13/live-event-twitter-pitches-google-hangout-with-spencer-hill-press-editors-danielle-ellison-and-patricia-riley/ at 23:46) and the second I heard: “I will request that” from Patricia, I went into shock, followed by flailing around my apartment like a madwoman. I sent out my query and waited, which turned into a full and more waiting. Then, in November, Patricia sent me an email inviting me on a google hangout call with her and one of her editors. Not only did I get a “CALL,” in December, but a video chat, where I panicked about everything from my hair to the state of the wall behind me beforehand. But when I got on the call with Patricia and Asja, I forgot about my hair and the wall and being awkward. It was fun talking with them and I loved that the parts of my book they wanted to fix were exactly what I knew needed work. I knew they could help me make this story shine. When Patricia said they wanted to acquire BOOKISHLY EVER AFTER and two other companion books, I said yes! After our chat, Patricia gave me time to contact everyone with fulls to see if they were still interested in representing me and my projects. I sent out emails and two of the “OMG, they are rockstars” agents got back to me. Carrie was one of those two. Her first e-mail asking if I had time for a call came the next morning, when I was at a cadaver lab for work. Out of all the surreal situations on the planet, I never thought I would literally be in a lab, listening to design feedback from surgeons operating on dead people the exact moment I was getting emails from my future agent. Every time my phone buzzed in the pocket of my scrubs, I had to restrain myself from running out of the lab to check my email. Somehow, between breaks and lunch, I managed to set up a time to call Carrie right after the lab that would have given me time to clean up and call from home… if the lab cleanup hadn’t run over schedule. My second CALL was while I was in my car, in scrubs, in the parking lot of a work cadaver lab. We chatted about BOOKISHLY, the other two books, and my other projects. Carrie talked about some of her other clients (This is the second time I fangirled on a CALL, because Carrie had offered representation to another Pitch Madness participant, Melissa Gorzelanczyk, whose book ARROWS had been one of my favorites in the contest, and which is slated to release around the same time as mine!) I liked what she had to say, and I liked how we clicked. Choosing between Carrie and the other absolutely wonderful, sweet agent was so hard. Emailing one of Carrie’s other clients helped, and every time I made pros and cons lists or talked with my friends about it, I found myself leaning towards taking Carrie’s offer of representation. Right before Christmas, I sent her my “yes, I’d LOVE to work with you” email. Isabel lives in New Jersey with her little black cat, too many books, and a closetful of vintage hats. 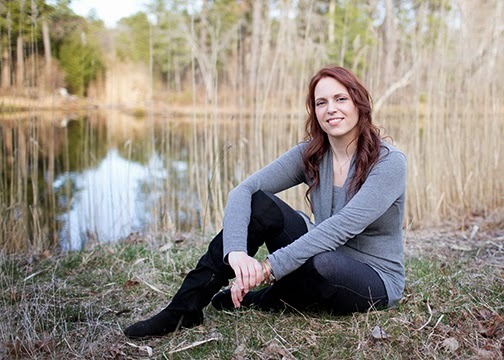 She is represented by Carrie Howland of Donadio and Olson, Inc. BOOKISHLY EVER AFTER is her debut novel. In case anyone was wondering, I do still totally agree with Dahlia Adler's advice on not querying agents and publishers at the same time. When I received the offer from Spencer Hill Contemporary and contacted everyone with my fulls, I braced myself for a round of nos. It happened to a lot of people I know and I don't blame the agents-- they can't shop your manuscript out to other publishers at that point. I knew I was going to take the offer (see fangirling and it feeling like a perfect fit above) and that it might mean going in without representation, even though I really, really, really wanted someone who could help guide my career and all of the rights that came with these three books as well as future books. Thankfully, two amazing agents did see potential in me and my career to offer to take me on as a client. Carrie is an absolute rockstar, I love working with her, and I don't know how I would have gotten through to this point without her. But, anyone thinking of querying simultaneously, know that it doesn't always work out this way, and read Dahlia's post on the subject. I love to hear stories about how you were inspired, and stuck with it. PS: Good thing you didn't take the author's advice about your major. I'm a psych major, and firmly believe I will become an author despite my lack of an MFA.